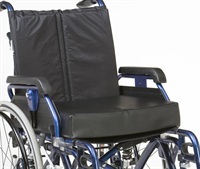 These 2″ thick wheelchair cushions come with a choice of “easy clean” vinyl covers and a choice of 16″, 18″ widths to suit your wheelchair. This memory foam cushion moulds to the body’s shape offering continuous support and provides an even distribution of pressure. 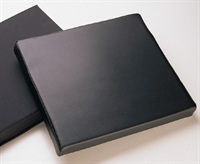 The visco-elastic memory foam is fused to a base of high resilient foam providing great comfort and support. 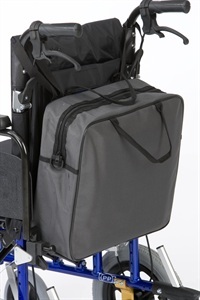 This attractive zip top shopping bag is fitted with additional straps so it can be looped over the push handles of a wheelchair. Easily removed when required.